The Trump Tower at 721 Fifth Avenue, New York City, is a glass skyscraper located between 56th and 57th Streets. Developed by Donald Trump in 1983, the Midtown East Side skyscraper is home to 238 residential condominiums. As of recent, property values of condos in the tower have plunged much faster than comparable luxury high-rises in Midtown Manhattan, said Reuters. Since 2015, residential condo prices at Trump Tower have plummeted somewhere in the neighborhood of 30 percent per square foot compared with an 8 percent decline in comparable properties around Manhattan’s Midtown East Side, according to data from cityrealty.com. Reuters reveals that older luxury high-rises on New York’s East Side have declined in value — following a flood of supply from new high-rise developments. 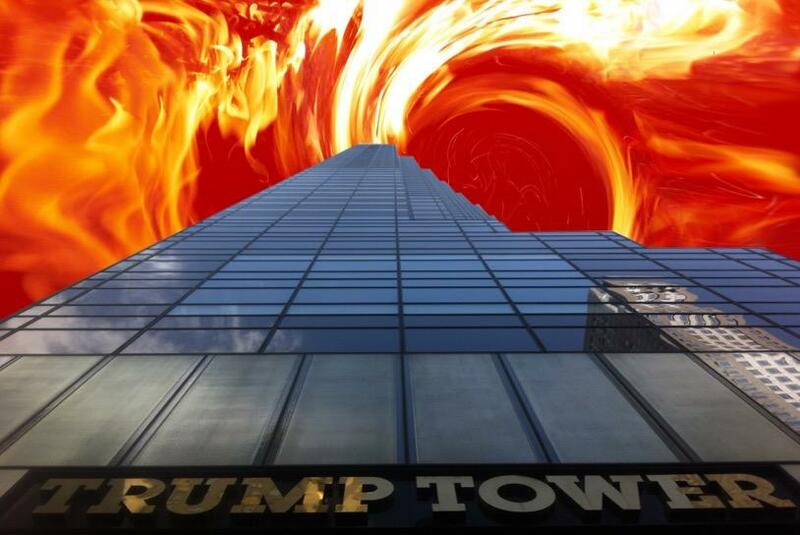 Interesting enough, many Trump Tower residents have had difficulty selling their condos in a real estate market that is saturated with Democrats, as some residents have turned their backs on the Trump brand. “Clearly the Trump candidacy and presidency have had a negative impact on the real estate values,” Wendy Maitland, a real estate broker with Brown Harris Stevens, who recently failed to sell one client’s $7.5 million condo, told Reuters. At Trump Tower, “there are currently 22 units on the market, which is a statement in and of itself,” said Maitland, adding that the supply of condos has more than doubled since 2015. 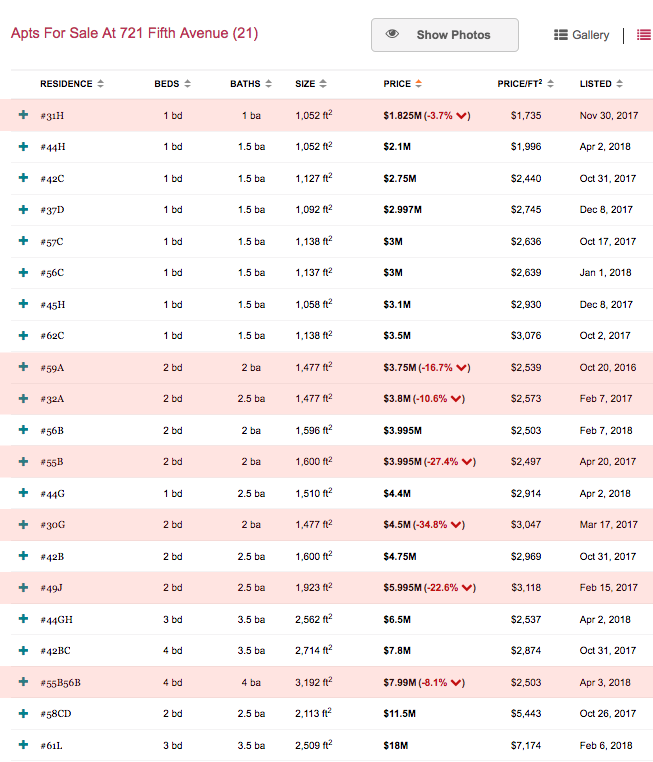 Cityrealty.com shows 21 condos are currently for sale at New York’s Trump Tower. Roughly 33 percent of the listed condos are discounted between -4% and -35%; as Reuters notes, some condo advertisements have had bolded headlines announcing: “PRICED TO SELL.” As if this is any indication of a trend, it seems as roughly 9 percent of residents are fleeing — with all listed properties debuting on the market less than two years ago. 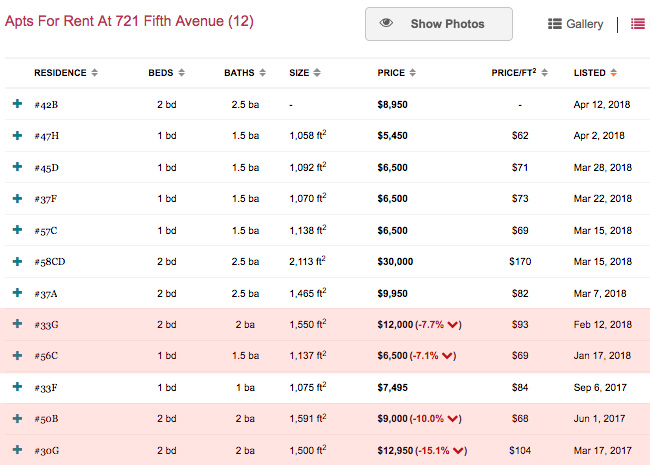 Apartments for rent at Trump Tower are repricing lower as well. 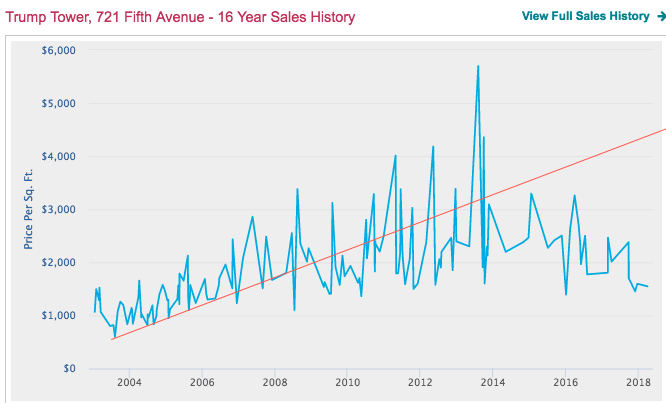 The 16-year trend line in sales history shows how prices peaked in 2013 through 2014. A noticeable downturn in Trump Tower condo prices parallels Trump’s run for President through his inauguration as the 45th President of the United States. Another complaint from residents is the airport-style security screening by the Secret Service. The tower includes President Trump’s residence and his global headquarters, which has turned the building into a security nightmare. 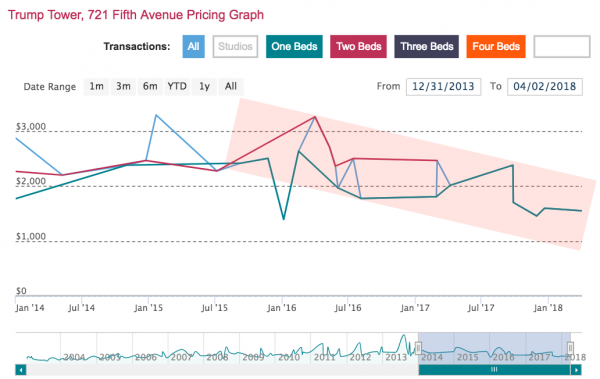 However, not all of the Trump Organization’s properties are plunging in value, some of their newer developments on the West Side of town have held price gains. And with the effects of the Trump tax reform plan – which is expected to rear its ugly head in high-tax blue states [New York] – having yet to take effect, one likely forward-looking indicator that weakness might be vibrating through one of the country’s most iconic (and expensive) real estate markets could be the condo price implosion at Trump Tower. 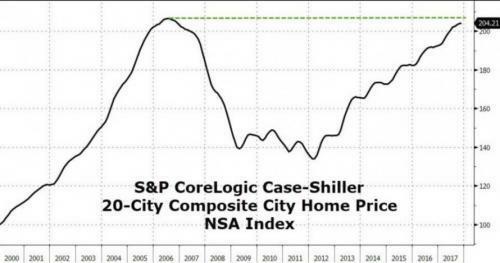 With the latest reading on the Case-Shiller 20-City Composite printed within 1 percent of its record highs from 2006, we ask a complicated question that is seemingly on every real-estate investors’ mind: Is this a “top” or a “breakout”?